Baxi has been manufacturing cutting edge home heating products in the UK since 1866. Baxi’s have a huge range of boiler models and output of boiler to suit every type of home. This includes combi boilers, heat only and system boilers. All Baxi boilers meet and go above the latest European safety standards, energy efficiency emissions and water bylaws. Baxi are that confident in the reliability of their boilers that they provide all customers with long warranties, to give their customers peace of mind. Baxi were the first boiler manufacturer in the UK to offer a 10 year manufacturers warranty, on parts and labour, as standard. This is on combi boilers from the Baxi platinum range. 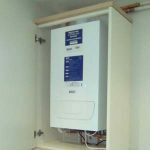 Here at Wirral Plumbers we have been servicing and installing new baxi boilers, in Liverpool, for homeowners, landlords and businesses for over 20 years. All of our Baxi boiler installers are gas safe registered and trained on the installation and maintenance of Baxi products. Why Choose A Baxi Combi Boiler? All new Baxi boiler installations in Liverpooll must be undertaken by a Gas Safe registered engineer. 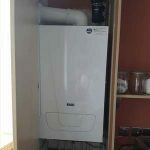 Proprietor of Wirral Plumbers, Michael Williams, is registered with Gas Safe to install new boilers in Liverpool. The Gas Safe register was started to protect customers from unsafe gas work. 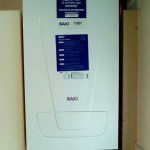 Looking for a Baxi boiler installer in Liverpool? Then look no further. 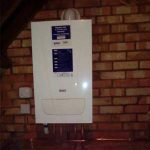 Get in touch with Mike Williams today for a fast and efficient electric boiler installation service. Call Mike today on 07580395493 for a free, no obligation Baxi boiler quote. Alternatively, you can email mike at mike@wirralplumbers.com and he will get back to you as soon as possible. 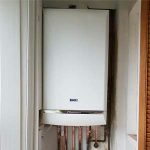 Wirral Plumbers install new boilers in Liverpool, Liverpool and across Merseyside. 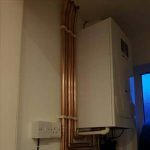 Established in 1998, Wirral Plumbers provide central heating and plumbing services, across Wirral, for both domestic & commercial clients. We are also Gas Safe registered. Stock Images Used For Illustration Purposes Only. © Mike Williams Proprietor Of Wirral Plumbers. All rights reserved. Design By Ctrl Alt Create.